Another post for Join Hands for Nepal which runs until tomorrow. Please come along and support this very greatly needed cause. 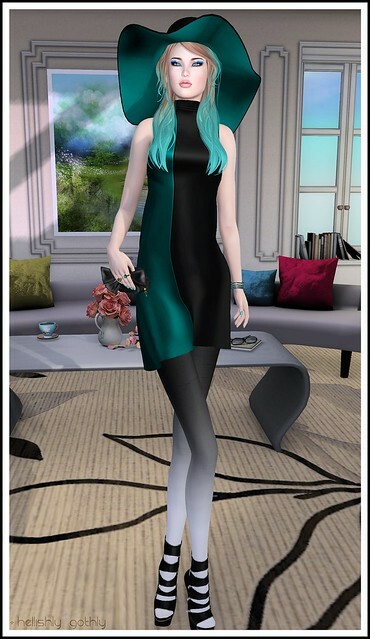 This fabulous eye catching dark teal and black short sheath dress and oversized matching hat by AZUL are versatile enough to be worn anywhere. They come with a matching picture frame that you can wear and pose with (not shown). This gorgeous jewellery set by Lazuri just happened to have a colour that was a perfect match for the dress/hat and is also available at Join Hands for Nepal. 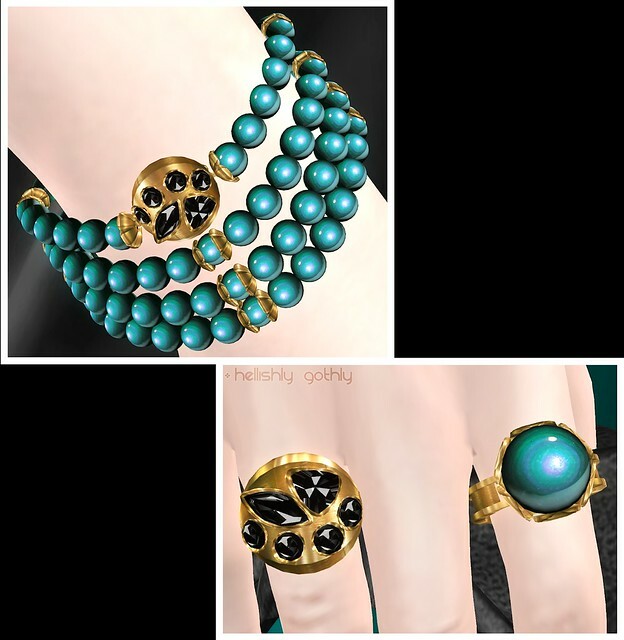 It is a full set with bracelets, and rings as shown here, necklaces, and earrings (not shown), and comes with a colour change HUD. Also being shown is one shade in this really lovely eyeshadow set from Zibska available at Uber until May 23rd. The one I have on is for the Lelutka head, but it also comes as a standard eyeshadow, and as an applier for TMP heads.